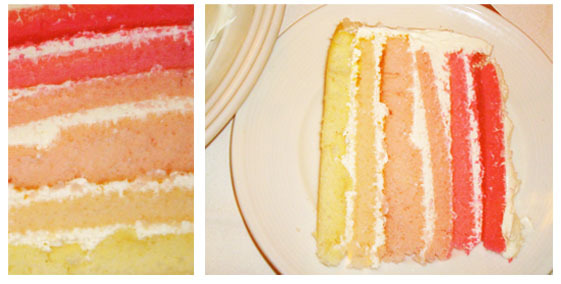 We asked ourselves-How can we take the notion of these fun rainbow layer cakes we’ve been seeing and make it a little sweeter and more wedding appropriate? Well, we decided to make a six layer cake and dye each layer a different shade of pink so that when stacked they would create an ombre type look. We are no baker but thought we could handle this task. 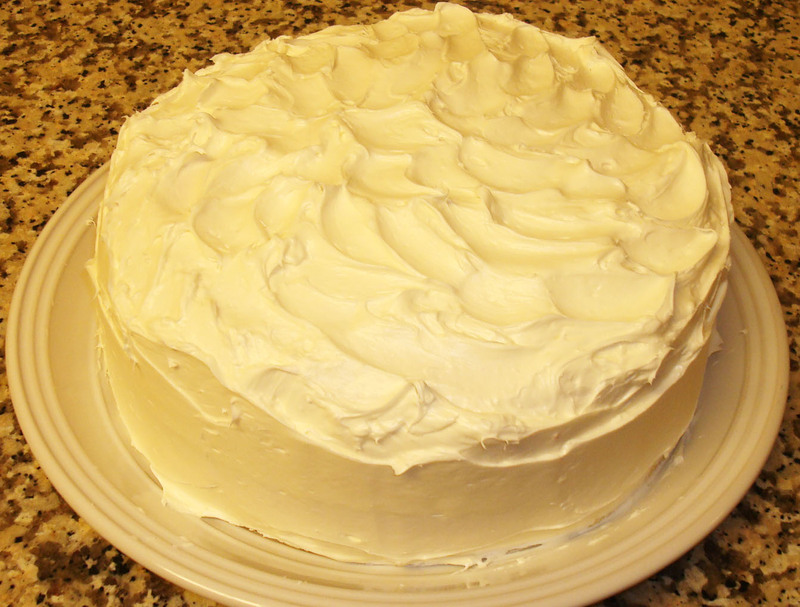 First we purchased a simple white cake mix, three cans of white icing, rose Wilton food coloring and the additional ingredients to add to the cake mix. We made our cake batter and evenly distributed the batter into six bowls. Next we carefully dyed each layer a shade of pink. We then arranged the bowls from lightest to darkest and baked each layer individually in that order. After the layers cooled we iced and stacked them on top of each other. After all the layers were assembled we iced the outside of the cake. We put our cake in a carrier and placed it in the fridge over night. This helped the cake to set and kept it super moist. Then came the fun part – having your cake and eating it too! Voila! After you cut into your cake all your hard work will have paid off! What a fun cake for a bachelorette party, shower or bridal luncheon! Bon Appetit!